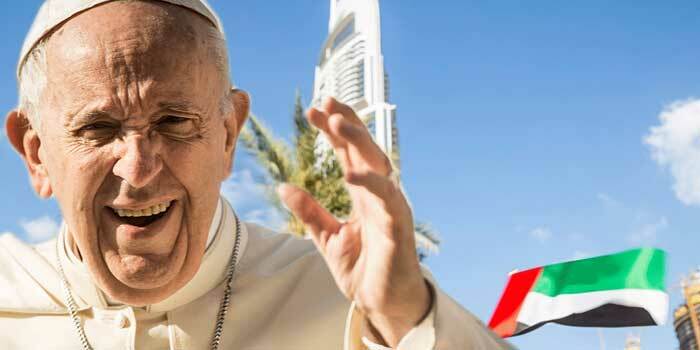 Abu Dhabi: The organisers of the Papal Mass being held by Pope Francis in Abu Dhabi on Tuesday, February 5, have released more details regarding their transport plans across UAE. The Government of Abu Dhabi is arranging free transportation from designated Access Hubs across the UAE to the Papal Mass at Zayed Sports City. 135,000 attendees are able to access the Mass. Multiple pick up points are arranged at locations in Abu Dhabi, Dubai and single pick up points at Al Ain, Jabel Ali, Mussafah and Ruwais. Park and ride facility is arranged at the Yas Gateway park on Yas Island. The residents of Sharjah will use the hub in Muhaisnah district in Dubai. There will be a soft check at all Access Hubs and only those with a valid Transport Ticket and Entry Ticket will be allowed onto the buses. There will be no exceptions. Children above 2 years should have valid tickets for security reasons. The faithful are requested to follow the sign boards directing them to their allocated area as mentioned on their ticket. Please note that you may have to walk between 500 metres and upto a kilometre from the bus drop off points to the venue. Food and beverages will be allowed on the bus. Not allowed to carry food inside the stadium. Free water will be distributed in the stadium. Patients and children may carry essential food and medicine subject to security clearance. Food will be available for sale after the Mass in the venue.